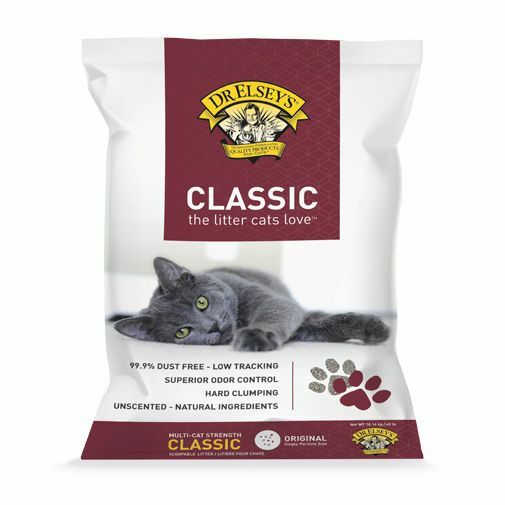 Dr. Elsey’s Classic… this is Dr. Elsey’s original litter and is very popular with cat owners who want a hard clumping, low tracking litter. It features a larger, denser particle that stays in the litter box better than fine grain litters. It clumps very hard and will not break apart in the litter box. Clumps that break down leave small pieces in the litter box. The small pieces left behind are odor free. The better the clump, the better the litter.